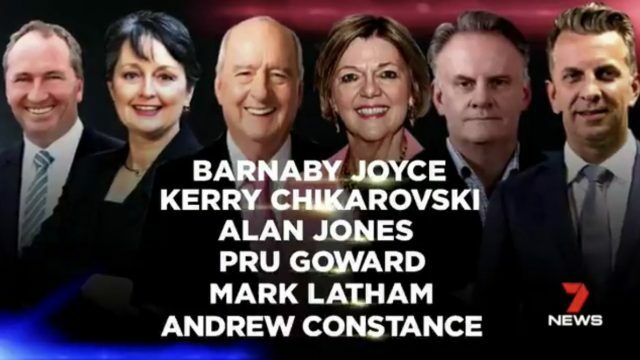 After a week where many have called for greater diversity in our media, Channel 7 has wheeled out their coverage team for the upcoming state election. Clearly, they’re not listening. Whether the answer is diversity, or greater responsibility (or both), is a matter of debate. What is clear, however, is that a change of the established tone must be the first stop, if we are to improve. It’d be remiss to expect mountains to immediately be moved, but one would certainly expect something to suggest a changing of minds. This morning, we have a fairly strong indicator that the might be the case, as Channel 7 wheeled out their panel to discuss the upcoming (and rather pivotal) NSW election. This, of course, was the same broadcaster that freely gave Pauline Hanson a slot on morning television, and wheeled her out to face David Koch soon after Christchurch. Clearly, they’re not listening. Or more likely, they’ve decided that the complaint on social media is another storm to sit through. I say, no. Change is what we need, and change is what we seek.